Kayla and Monty welcome you from their home in the Yukon! Joe, the spiritual guide of Everything Husky. Kodi, now waiting for me on the North side of the Rainbow Bridge. 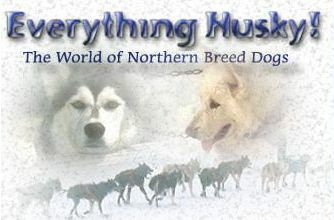 Your source for information and links on Mushing, Skijoring, Pulking, Dog-packing, Siberians, Malamutes, Samoyeds, Alaskan huskies, working mutts, and anything else you can think of in the realm of Northern breed dogs or dog-powered recreation or competition. 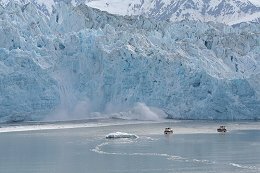 Dozens of articles that have appeared at Everything Husky! over the years. Let's share thoughts and ideas about Huskies and their care. "Dedicated to Honouring the Tradition and the Sport of Mushing"